We’ve all seen them: cars or commercial vehicles that belch out thick clouds of black smoke. 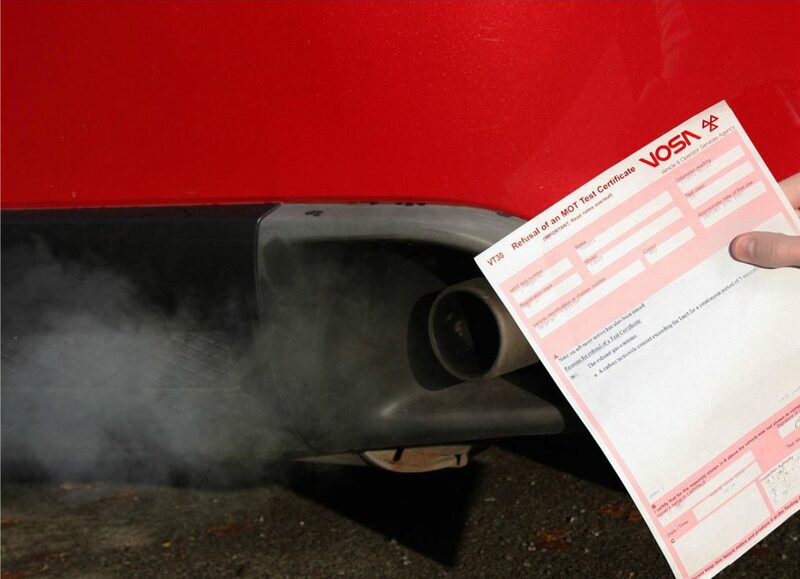 Now the MOT is being toughened to remove vehicles with harmful pollution levels from the road. Since 2014, MOT testers have had to check that a car’s original diesel particulate filter (DPF) – part of the exhaust system fitted to every new diesel from 2009 – is present. The aim was to deter the removal of the filters but testers didn’t have to see that it functioned correctly. That was a problem as DPFs often stop working properly. Now a tougher emissions test means that a diesel with a DPF that ’emits smoke of any colour’ will automatically fail the MOT. The DPF smoke test is an important step. Frank Kelly, professor of environmental health at Kings College London, says a car with a faulty or removed DPF has a particulate count 20 times higher than one with it. Minor defects: these have no significant effect on the safety of the vehicle or impact on the environment and other minor non-compliances. A test certificate will still be issued. Major defects: these may affect the safety of the vehicle, have an impact on the environment or put other road users at risk. The car will fail its test. Dangerous defects: they constitute a direct and immediate risk to road safety or the environment. The car will fail its test. 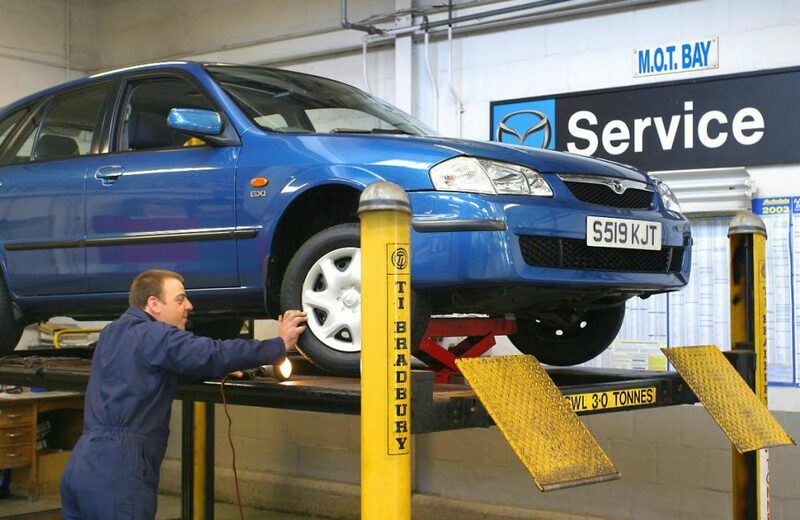 From 20 May, most cars more than 40-years old will not need an MOT test. However, the Department for Transport has included a caveat. This says any vehicle that has been ‘substantially changed’ must still be submitted for an MOT each year. And it still recommends regular maintenance and stresses the law requires all vehicles to be roadworthy. This has led to confusion amongst classic cars owners. That’s because drivers need to understand the definition of ‘substantially changed’ to ensure they remain on the right side of the law. If the technical characteristics of the main components have changed, the car will require an MOT. Replacing like with like is not considered a change. The main components are the chassis or monocoque bodyshell, suspension or steering and engine. A public backlash against plans to extend a car’s first MOT to its fourth year has led the government to abandon the idea. Following overwhelming objection as part of a public consultation, a car will still require its first MOT at three-years old. Around 360,000 vehicles fail their first test each year. To all the people who mapped they cars and deleted dpf wish you all good luck. The map shouldn’t be a problem if done correctly, however DPF delete is a totally different game, quite rightly so. Your clam: ergo the burden of proof is with you. With you all the way Sam. If people want the performance of a Porsche why the hell would you buy that Clio and then remap it and expect the performance of anything short of a eh umm Clio. My car’s DPF became blocked with ash at around 90,000 miles and I paid over £1000 to have a new one fitted. It now goes into regeneration mode every 350 miles or so, at which time it emits grey smoke due to the injection of fuel into the system to burn off the soot. This is apparently what it is supposed to do. I will not be too pleased if this now considered to be a reason for failing an MOT and I have to scrap the car. Shame the manufacturer forgot to mention DPF issues when I bought it. Of course we all believe that every car 40+ years old will be correctly maintained now they don’t have to have an MOT. Welcome back rotting chassis and bald tyres and brake shoes down to the rivets! As a mechanical engineer I cry at the stupidity of the DPF, unfortunately the particulates is just one aspect of pollution and actually not the big killer it being marketed as. The actual function of DPF to collect particulates and then burn them off is not entirely true, in reality at a regen it injecting extra fuel (more waste of resources and inefficiency) that burning late and raising temps which removes the particulates from the plates, yes some of this is burnt fully but huge amount still blown out on the motorway during regen, thus in reality it bit of a cheat by just collecting particulates under the test scenarios then dumping it on the highway in what quite a poor ratio of true particulate management and energy efficiency. The european consumer also been pocket robbed as well as lied to as manufacturers got away with excluding the new unreliable emission technology from warranty , US federal law made to compulsory for 8yr 80,000 miles cover, in the west owners paying 500 to 2,000GBP to fix the poor engineering design and logic of egr, forced regens, chemical dpf treatment, dpf replacement and programming . Problem is you got tree huggers and politicians creating environment laws and car emissions when it should be engineers and scientists and logic of pollution and material consumption in the broad spectrum of pollution in working lifespan of a product right at manufacture to point of recycling including all aspects of pollution and waste .